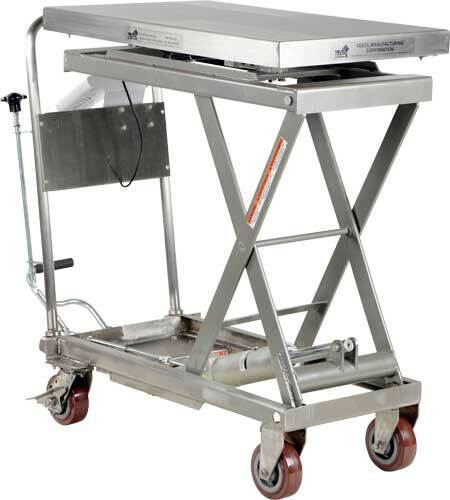 Portable ergonomic elevating carts minimize working bending and lifting. 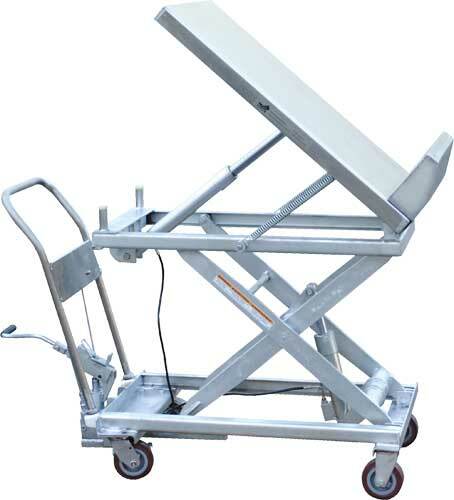 Foot pump pedal, pump assembly, and hydraulic cylinder are chrome plated. 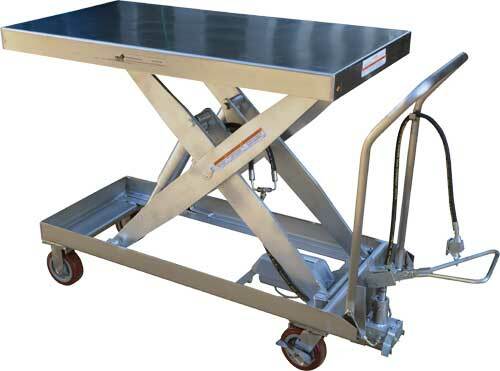 Rest of the unit is fully stainless steel. 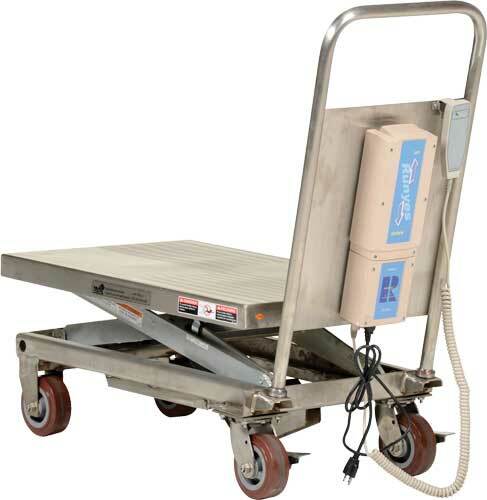 Partially stainless steel carts are available for clean or corrosive environments. 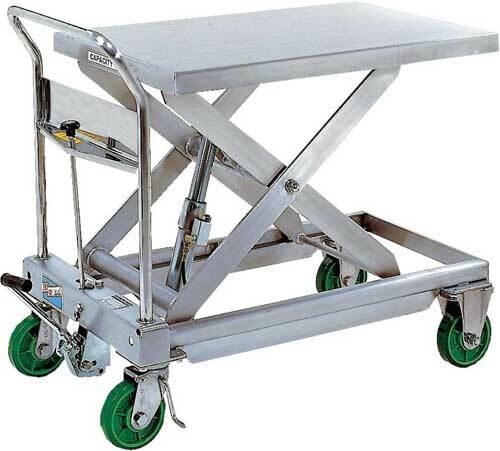 The platform, frame, handle, caster rigs, and hardware are all stainless steel. 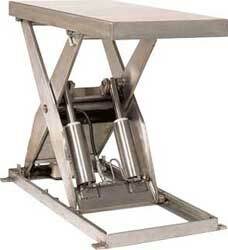 Feattures two speed foot pump and hand held reciprocating air/oil power to raise the platform. 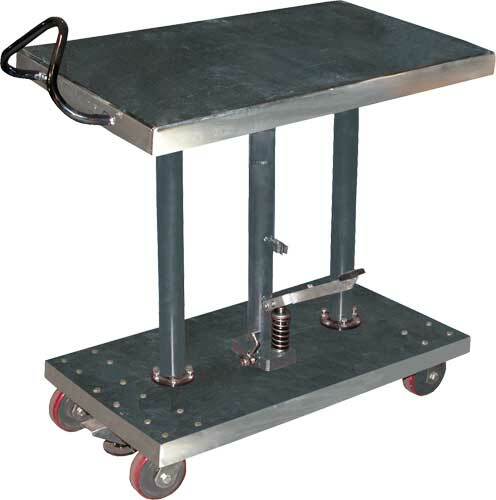 Platform, frame, handle, caster rigs, and hardware are all stainless steel. 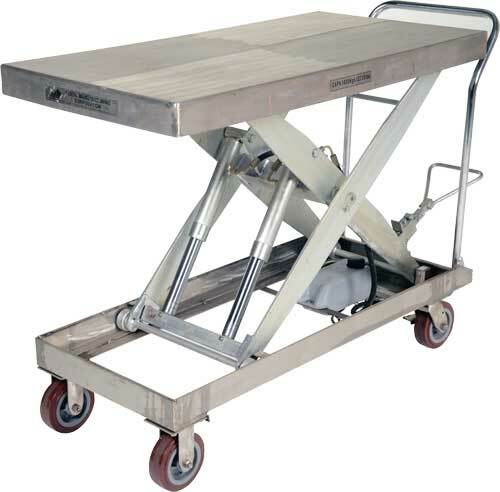 Foot-operated hydraulic post lift tables are built for heavy-duty shop use. 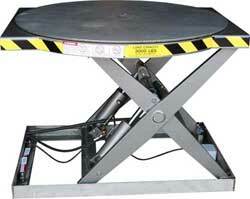 Posts are telescoping to help stabilize and support loads during operation. 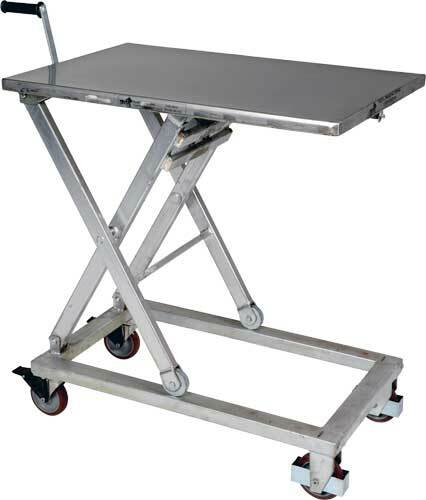 Vestil's lift & tilt carts have a unique design which allows the user to raise and tilt materials to an ergonomic position for better posture and operator comfort. 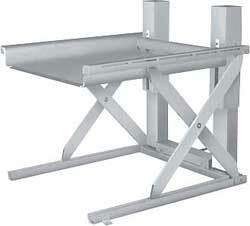 Ideal for parts counting, inventory rooms, or shipping weights at the loading dock. 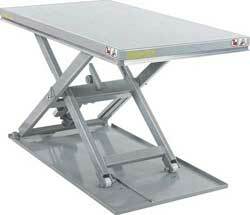 Provides an ergonomic workstation while sitting or standing.